Are you looking for a service for data recovery from flash memory? Stellar can restore your important data from all flash media such as USB sticks, SD cards, digital cameras, etc. Stellar Data Recovery is one of the most innovative data recovery companies in the industry. Our research and development department is always working to expand our expertise in new technologies such as newer flash memory types and to develop efficient techniques for flash data recovery. Flash Drives are more efficient than electromagnetic disks in terms of size, cost, and speed of data transfers, but they can only perform a limited number of write and erase cycles before their performance decreases or the data carrier is completely lost. This total loss after a certain period of use can lead to a large data loss. Thus a professional flash data recovery would be necessary. Physical damage of the medium by fire, water, or similar. Our rescue methods for flash media are unique in the industry, our results speak for us! You can be sure that Stellar Data Recovery has the best tools and techniques for Flash data recovery. 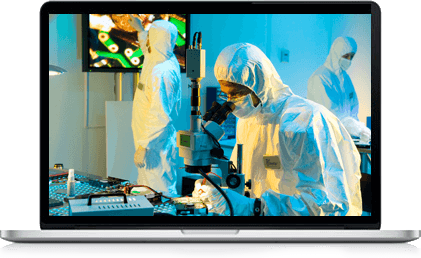 Our experienced data recovery specialists systematically follow the best scientific method to successfully save your lost or damaged data. With our own hardware tools, we build the chips out of the drive. For a complete rescue of your data, we read the flash memory chip for chip in our flash memory reader and ensure that each individual data block is read out. If the controller is damaged, our engineers re-formulate the controller algorithm to restore the data consistently. Furthermore, through the years of research on various complex encryption algorithms and the knowledge gained, we are able to recover data from almost all encryption algorithms used in Flash media.